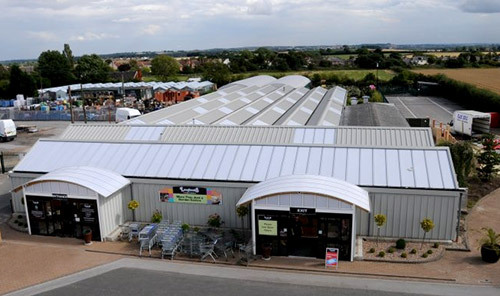 The Langlands Whinmoor Garden Centre is located on the A64 just outside Leeds, roughly equidistant between Scholes, Sandhills and Whinmoor itself, and situated not far from the beautiful Roundhay Park, one of the largest city parks in Europe. Langlands Whinmoor has received numerous distinguished awards and merits from the Garden Centre Association thanks to the hard work and expertise of our friendly and professional staff, including 'Most Highly Commended Garden Centre' and the 'East Area Award for Environment and Community'. Learn a little more about the great achievements made by the staff at Langlands Whinmoor and take a look at their host of GCA Awards 2016. We are open 9am 'til 6pm from Monday to Saturday, on Sundays, we open from 10:30am to 4:30pm. At Langlands Whinmoor, our dedicated and friendly staff are proud to provide our customers with a great range of services. If you have any queries about our products or services, just ask one of our team and they'll do their best to help you! Please note, hot food served until 3:30pm on weekdays, and Sundays until 3pm. Our Coffee Shop provides delicious hot meals and beverages made from the very best of locally-sourced produce, much of which is also sold in our Farm Shop. Langlands Whinmoor also hosts a concession of Maidenhead Aquatics, who have amassed a wealth of experience and knowledge in all aspects of fishkeeping and have now become the market leader in the field of aquatic maintenance within the surrounding areas. Free parking for 100 cars, with disabled spaces. Complimentary wheelchair hire, and wheelchair access throughout the site. An Edinburgh Woollen Mill concession, with a fantastic selection of clothing. 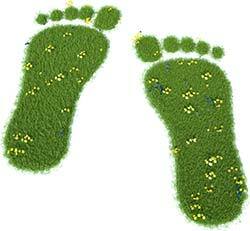 All of our stores follow a strict and ethical Environmental Policy. We strive to do our bit for the environment by making an positive effort with in-store recycling, waste limitation. We use sustainable materials in our packaging where possible as part of our commitment to diminish our carbon footprint. We also operate a no-smoking policy throughout the garden centre, which also currently applies to e-cigarettes. This list is by no means exhaustive! If you have any other requirements or questions about our services, just ask in store, give us a call on 0113 273 1949, or drop us an email using our Contact Page, and we will always do our best to provide every amenity possible to our customers.